Amazon has launched a new Kindle for Kids bundle that comes with the base Kindle model and a few extras at a discounted $99.99 price. At the heart of it is the Kindle, which is the recently updated base model that is still pretty good if you don't mind the lack of backlighting or the lower resolution display compared to the more expensive models. Considering the target audience here is kids, this shouldn't be a big concern. Amazon even spins the lack of backlighting as a way to get kids to sleep on time. 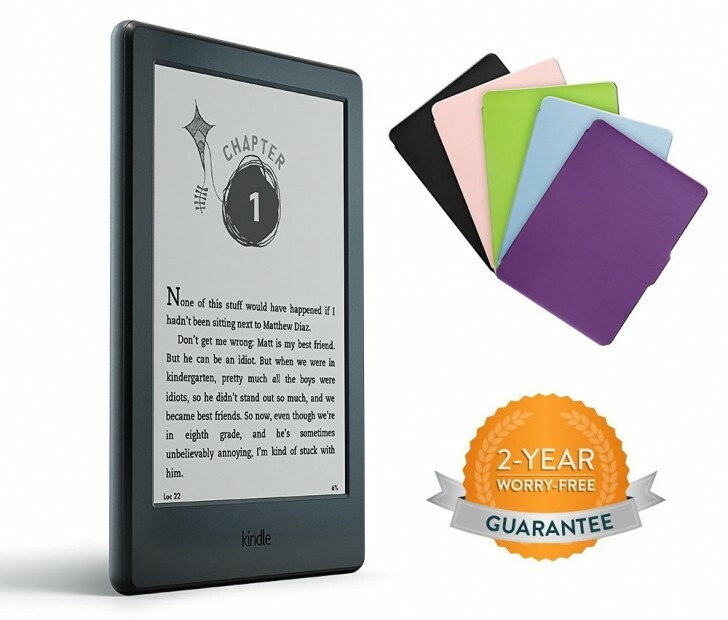 Other than the Kindle, you also get a cover in one of the five colors: black, blue, green, pink, and purple. Most importantly, there is a 2-year guarantee with it and if your kids manage to damage it somehow Amazon will replace it no questions asked. The Kids Bundle is $124.98 but Amazon is selling it for the aforementioned $99.99.